So you have the v6 3.0L engine in your car?You said you have a 2000 L100 then you say you have a Ls2 a little confusing.I just want to know what car were talking about so I can give you the correct info. So do you have any other code's besides the P0742?Iam posting the code description and a bulletin I found for that code. The Torque Converter Clutch Solenoid Valve (TCC So. Valve) is a pulse width modulated solenoid. When vehicle operating conditions are met for TCC application, the PCM/TCM begins the duty cycle at approximately 42%. The PCM/TCM then increases the duty cycle up to 90% in order to achieve full TCC apply. When the TCC Sol. Valve is de-energized, the solenoid blocks filtered 2-3 drive fluid, and allows TCC signal fluid to exhaust. When energized, the solenoid modulates fluid into the TCC signal fluid circuit. When fully energized, modulation stops, and the solenoid blocks both 2-3 drive fluid and TCC signal fluid exhaust. The TCC release switch is a normally closed switch. It signals the PCM/TCM the TCC is released. Torque converter release fluid pressure acts on the switch contact, opening the circuit. When the voltage on the circuit is high, the PCM/TCM recognizes the TCC is no longer engaged. When the PCM/TCM detects the TCC release switch is closed when the TCC is commanded OFF, then DTC P0742 sets. DTC P0742 is a type A DTC. * Trans fluid temperature between 21 C (70 F) and 130 C (266 F). * TCC Sol. Valve exhaust restricted. * TCC Sol. Valve filter plugged. * TCC control valve stuck in the applied position. * TCC regulated apply valve stuck in the applied position. * TCC feed limit valve stuck. * Pressure regulator valve stuck. * TCC fluid circuit leaks. * TCC release switch for damaged or leaking seal, debris in switch, damaged switch contacts, stuck switch contacts. The following new service information outlined in this bulletin will aid technicians in providing easy to follow valve body reconditioning instructions and new illustrations to simplify reassembly of the valve body. The service bulletin will also provide additional service information documents that are related to the 4L6x transmission family. If valve body cleaning is not required, Do Not disassembly bores unless it is necessary to verify movement of valves. Using the exploded views in this bulletin, inspect each bore for freedom of valve(s) movement and evidence of debris. Pay particular attention to those valves related to the customer's concern. Verify movement of the valves in their normal installed position. Valves may become restricted during removal or installation. This is normal due to small tolerances between the valves and bores. If a valve is restricted and cannot be corrected by cleaning valve and bore, then replace valve body. Describe restricted valve on repair order. tightened and damage may occur. If a valve is restricted by a metal burr from machining that bore, remove valve and burr, then inspect movement in the valve's normal position. If no other debris or restrictions are found, then reassemble valve body and install in the transmission. Only other code for trans was a code for park neutral switch tha t I think is on top of trans. Is most of the parts in the valve body or everywhere in the transmission. It did seem to have a little slip sometimes my daughter said. I see it has a little leakage on some lines that come out the front side. Not sure how bad. Dont know when the filter has been changed last. So could be electrical parts mostly. The solenoid's are in the valve body under the side cover of the transmission. It could be a bad solenoid or plugged solenoid. The neutral safety switch is on top of the transmission connected to the shift cable. What is the exact code number for that switch?The fluid on that car should be changed every 50,000 mile's.I would drop the transmission pan to see how much debris in the pan. Also look for shinny flake's that would be metal debris. You have to have the fluid drained to pull the side cover off as well so keep that in mind. I have replaced very few valve body's on those car's it's usually a bad solenoid or some debris. If you take off the valve body there spring's etc that will go everywhere. The side cover is on the drivers side it's pretty big hard to miss.I would start by seeing how much debris in the pan and go from there. The engine control module (ECM), transaxle control module (TCM), and the body control module (BCM) communicate with each other over the controller area network (CAN) BUS circuits 2500 and 2501. The CAN BUS is a communications protocol that is used by the TCM to communicate vital engine control inputs from a stand-alone engine controller. 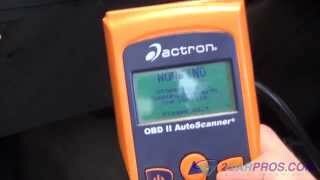 The diagnostic checks the information received in CAN to determine whether to pass or fail a code. Before checking the information, the TCM makes sure the CAN messages are being received by checking the BUS failure timer. * Engine speed is greater than 500 rpm for 5 seconds and not at fuel cutoff. * System voltage between 8 and 18 volts. * This code does not indicate a problem with the TCM. It does indicate the ECM is not sending the required information to the TCM. * Check for and diagnose any DTCs stored in the ECM related to the ECT, pedal position or TP sensor circuits. * Check for any DTCs stored in the EBTCM related to the torque reduction/request circuit. 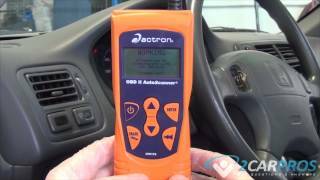 This DTC indicates that a transmission related OBD II failure has occurred. The Transmission Control Module (TCM) controls a dedicated Service Transmission Lamp (STL) which illuminates when a fail is reported by certain non-emissions related TCM diagnostics. The TCM has no direct control of the engine MIL, but if a transmission fault occurs that is emissions related, the engine MIL must illuminate. A MIL request circuit between the ECM and the TCM provides a means for illuminating the MIL, even though the fault was detected by the TCM. This circuit is pulled up to B+ within the ECM. In order to illuminate the MIL, the TCM pulls the circuit low. The ECM detects this and DTC P1780 is set, which illuminates the MIL. DTC P1780 indicates that the ECM has a detected a problem with the MIL Request Circuit. For this code to set, the engine has to be cranking, and the MIL request circuit has to be shorted to ground, open, or shorted to battery voltage. The condition has to be set for 2.5 seconds. DTC P1780 is a (type B) DTC. When attempting to diagnose an intermittent problem, use the Scan tool to review freeze frame/failure record diagnostic information. This supplemental data can be used to duplicate a problem. Check for poor connections at the ECM or the TCM and for a damaged harness. So I should take the bottom pan and do a filter and fluid change first. O r take the side cover off to and clean. If you change any solenoids do you have to take the valve body off? Does any additives to the fluid do any good or is that a bad thing to do. Do they make gaskets for all these covers. The first thing I would do is like I said remove the transmission pan and look for debris/metal if there is metal you have bigger problem's. There is a gasket filter kit you can get for that pan plan on taking the pan and side cover off the same day or you will end up wasting 7qts of fluid. The side cover gasket is reusable you don't have to remove the valve to replace solenoid's there held in with U shaped clips. Also if you not good at fixing car's don't attempt to remove the side cover etc. Follow the bulletin for code P0742 I posted earlier. They use that transmission in other cars so there isn't going to be a problem finding part's. They sell the solenoid's at www. Rockauto. Com and you can find them other place's.I posted diagrams showing you the locations of the solenoids on the valve body.I also posted instructions on how to remove the side cover. 1. Remove transaxle case side cover. IMPORTANT: Retainer clips hold in each of the valve line-ups. Use a small screwdriver in order to remove retainer clips. Be careful not to score valve body when removing retainer clips and valves. Before removing valve line-ups, inspect each valve line-up for free travel. 2. Remove 1-2 shift solenoid retainer clip and 1-2 shift solenoid with O-ring. 3. Remove 2-3 shift solenoid retainer clip and 2-3 shift solenoid with O-ring. 4. Remove Pressure Control Solenoid (PCS) retainer clip and pressure control solenoid with two O-rings and screen. 5. Remove TCC solenoid retainer clip and TCC solenoid with two O-rings and screen. IMPORTANT: Inspect all O-ring seals for damage prior to installation. Replace any damaged O-ring seals. 1. Install TCC solenoid with O-ring and screen and install TCC solenoid retainer clip. 2. Install Pressure Control Solenoid (PCS) with two O-rings and screen and PCS retainer clip. 3. Install 2-3 shift solenoid with O-ring and 2-3 shift solenoid retainer clip. 4. Install 1-2 shift solenoid with O-ring and 1-2 shift solenoid retainer clip. 5. Install transaxle case side cover. 6. Start engine, warm up transaxle, and check for leaks. 7. Check for proper fluid level using "Transaxle Fluid Level Checking Procedure". CAUTION: MAKE SURE VEHICLE IS PROPERLY POSITIONED ON HOIST. 1. Position vehicle on hoist. 1. Disconnect battery cables (negative first, positive second). 2. Move fan control module. Leave wiring connected, lift module up and away from bracket, and position out of the way. 3. Remove battery hold-down bracket. 3. Disconnect battery feed to underhood fuse block. 4. Disconnect coolant hose from underhood fuse block. 5. Release retaining tabs on underhood fuse block cover and remove. 6. Release retaining tabs (2) on underhood fuse block and roll fuse block back (1) to access electrical connectors. 8. Lift fuse block off case. IMPORTANT: There are two tabs that hold the hard shell grommets in place at the bottom of the grommet. Disengage tabs to remove grommet from case. 9. Remove harnesses from underhood fuse block case by releasing retaining tabs on the bottom of the hard shell grommets. 10. Remove underhood fuse block case fastener, and remove case from battery tray. 11. Remove battery tray fasteners and battery tray. 12. Remove wire harness from transaxle case side cover. 13. Remove upper transaxle case side cover fasteners. 16. Mark position of and remove left transaxle mount bolts. 17. Remove left transaxle mount from engine compartment rail. NOTICE: To prevent damage to the CV joint boots, be careful not to allow them to contact other parts during the removal/installation process. Also, never pull on the shaft assembly. 19. Remove left drive axle from transaxle using a pry bar. Remove axle retaining ring from output shaft of transaxle and discard. The axle can be left in the steering knuckle. Tie the axle up and out of the way. 20. Remove power steering lines from left transaxle mount bracket. Remove transaxle mount bracket fasteners and remove bracket. NOTICE: Pry on side cover near locating dowel pins to prevent damage to sealing surfaces. 21. Remove remaining transaxle case side cover bolts and remove case side cover. 22. Remove two case side cover gaskets and side cover to driven support thrust washer, if they did not remain with the side cover assembly when it was removed. 1. Inspect case side cover for cracks or damage to seal grooves and mounting bosses. 2. Inspect side cover seals for damage. Side cover seals are reusable if not damaged. 3. Thoroughly clean side cover and side cover seals. Clean and dry seal grooves and axle seal bore. 4. Install case side cover gaskets into grooves on side cover. Retain seals with petroleum jelly. 5. Install side cover to driven sprocket thrust washer onto side cover. Retain with petroleum jelly. NOTICE: Axle seal protector J41102 must be used on the output shaft of the transaxle to protect the axle seal from damage when installing the case side cover. If J41102 is not used, damage to seal may result. 6. Install axle seal protector J41102 on output shaft of transaxle, and install side cover assembly onto transaxle case. NOTICE: In order to prevent damage to axle shaft splines during vehicle operation, add grease (P/N 7843867) to axle shaft splines prior to axle shaft installation. 10. Install a new axle retaining clip on output shaft of transaxle. Untie left axle shaft and install axle shaft into transaxle. NOTICE: If the powertrain mount is not reinstalled in its original position, it could lead to premature mount wear. 15. Remove engine support bar assembly. 20. Install wire harnesses to fuse block case. The wire harness grommets have retaining tabs that lock into the case (3) when the harnesses are fully installed. 21. Snap fuse block onto fuse block case hinges. 23. Secure underhood fuse block to fuse block case by rotating down and snapping into place. 24. 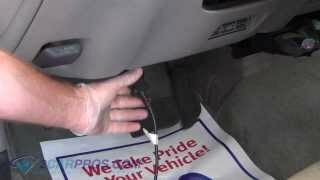 Install underhood fuse block cover. 25. Secure coolant hose into place on fuse block cover. 1. Install battery into battery tray. 3. Install fan control module by sliding down onto battery hold-down bracket. CAUTION: POSITIVE BATTERY TERMINAL MUST BE CONNECTED FIRST TO PREVENT ARCHING. 28. Start engine, warm up transaxle and check for fluid leaks. 29. Check for proper fluid level. I put on junk yard parts and so far having good luck. Put on switch on top of trans and no more code. Also had a problem with mass air flow, so I changed it and no more code. Blanked it out sunday and have been driving it since with no codes. It seems like it wants to hesitate to shift into od but if I let up on the gas a little it shifts right away. Is their any additives that I would want to try before I change the filter or after I change it. Or just put in whatever fluid it calls for. Thanks for your help. You change the transmission fluid every 50,000 mile's don't use any additive's. Also your not getting that code P0742 anymore?As far as having to let up on the gas for it to shift that is usually a plugged cat. When it's doing that you need to have a exhaust back pressure test done. Use DEXRON III or Equivalent also it take's 6.9 qts with change the fluid and the filter. Also look for debris like metal which will be shinny. He had to drill a hole to test the back pressure?That's crazy they make adapter's and all you do is unscrew the o2 sensor in the exhaust manifold screw the adapter in hook up the gauge and see the back pressure. You can do that to both manifold's that way you can check the back pressure on each bank by itself. Also do it when's hot and you have to let up on the gas for it to shift. As far as transmission flushes go on that car I would not do it bad thing to do. We used to do those at the saturn dealer I worked at and we had car's come back because debris's were pushed into the shift solenoid's and plugged them up. Your welcome the testers are only like 30-40 let me know what you find. Did you ask about that seal leak on here recently because if you did I worked with you on that question. Let me know so I can answer that question. Also they have back pressure tester's that screw in where the o2 sensor's are there pretty cheap I think there like 40 something. Yes this is the same axle leak. I can move that shaft up and down a lot it seems right where it goes into the seal. Oreillys wants $60 for a screw in tester. One of the guys that works there says he has one and would do it for 20.